What makes a moment a special one? The company, space, music, light, details… and gastronomy. Everything must be in harmony for the guests to leave with fond memories of that moment. The Convent of Blanes is the ideal venue for any event, whether it’s a dream wedding or corporate event (conferences, breakfasts, conventions, meetings and lectures among others). The facilities include several rooms and a garden of more than 5,000 m2, overlooking the beach. The gastronomy of the Convent of Blanes is managed by Jubany Events, signature gastronomy by the Michelin star chef Nandu Jubany. Its gastronomic offer strikes a balance between traditional cooking and quality, modern and brilliant cuisine, complexity and subtlety. A gastronomic experience designed and created just as you imagined it. For the Convent of Blanes each celebration is a unique feast. 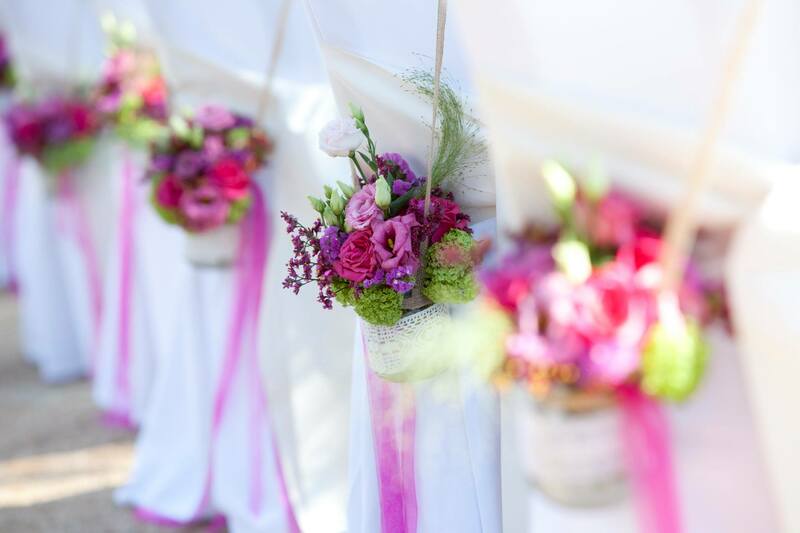 The professional team oversees and coordinates all the details to make it a perfect event. Let this moment be just as you imagined it! El Convent and its natural environment are full of history and transform all the celebrations, receptions and wedding parties into a unique and intimate experience for the protagonists and guests. The organisational team takes care of all the details and is determined to satisfy your desires so that your special moment experienced at the Convent is intense, memorable and delicious. In our wedding halls, ourselect service of signature cuisine provides tradition, innovation, contrasts between different flavours and textures in every dish we create. 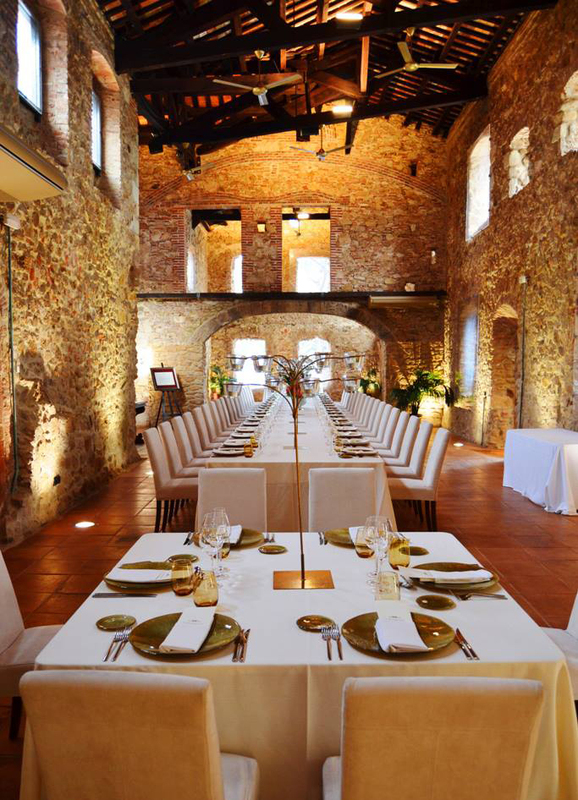 The banquet hall for celebrations (where the old rooms of the Capuchin monks were) has impressive stone walls with an eight-meter-high roof, fully restored, and has a capacity for 200 guests. The Convent’s gardens open to the sea, excellent viewpoints overlooking the harbour, the beach of Blanes, the bays of the Costa Brava and the sea offer a unique place to celebrate civil marriages. The chapel, dedicated to St. Anne, offers a smaller, more intimate place for religious weddings. Celebrating your wedding near the sea and Barcelona, in gardens and in a historic building with character, is a privilege and sets your event apart. If you’re invited to a wedding at the Convent, all you’ll see is the sky and sea. El Convent is an exclusive space in an incomparable setting. Privacy, uniqueness and the tranquillity of the sea are the key to the success of any corporate event you want to organise near Barcelona. Thanks to its features, the Convent represents excellence for its elegant, unique and original facilities. It is an exceptional place to hold all kinds of corporate events, professional activities: meetings, product presentations, launches, training sessions, gala dinners, seminars, conventions, political and institutional events and cultural activities. The main hall and auditorium are in one multipurpose room in which gala dinners for 200 people and presentations can be held. This room has capacity for 320 people. The Convent also has a large garden of over 5,000 m², which overlooks the sea. The exclusive, high quality catering service, selective, personalised service and our experience in organising events ensure that your event will be a guaranteed success.